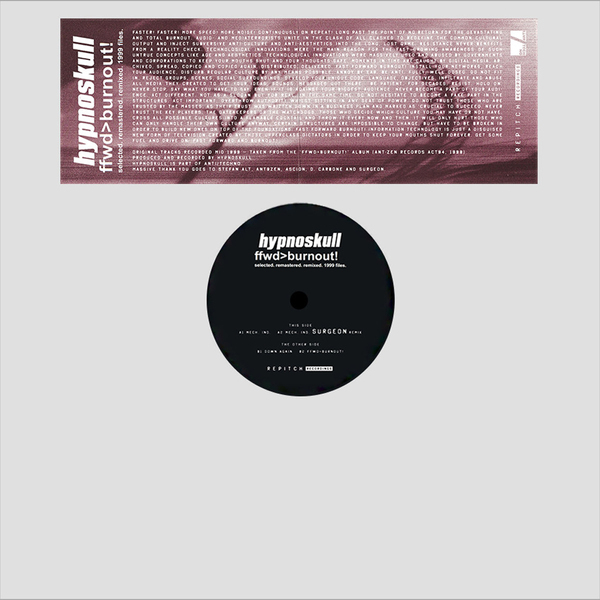 Surgeon chips in a rugged remix on this collection of vintage, remastered and remixed Hypnoskull gear dug out by Shapednoise, Ascion and D. Carbone’s Repitch Recordings. 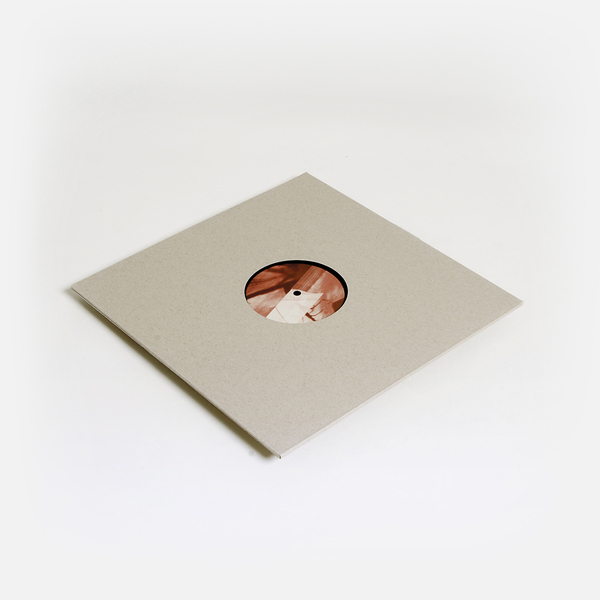 Revolving three tracks from Hypnoskull’s noisy FFWD>>Burnout! 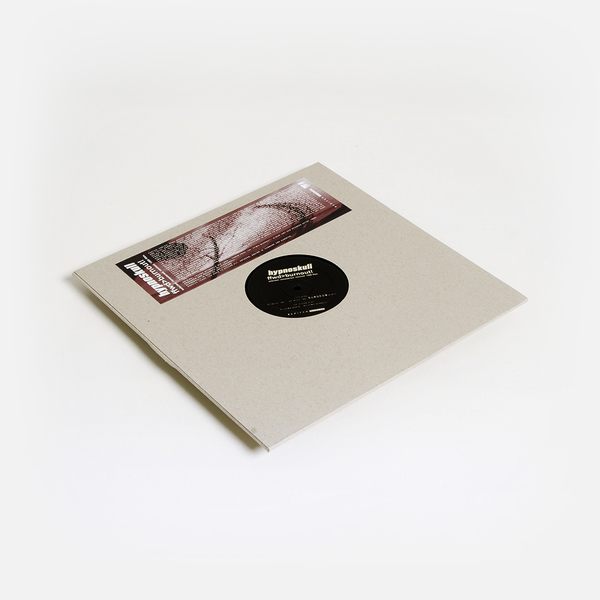 release for Ant-Zen, plus the aforementioned remix, this 12” feels like a wretched anti-peristalsis from 20 years ago, coughing up a dog’s dinner of chunky noise techno blatz in Mech Ind, which comes reinforced as galloping, brain-drilling Surgeon remix, while the B-side forces out a rim-ripping U-bend blocker in Down Again, and what sounds like Alec Empire with twisted knickers on the title cut.